Love the poetry of the Bible? A dynamic-equivalent translation of the Holy Scriptures from the ancient Hebrew, Greek, and Aramaic into modern English. The Passion Translation Bible is a new, heart-level translation that expresses God's fiery heart of love to this generation using Hebrew, Greek, and Aramaic manuscripts, merging the emotion and life-changing truth of God's Word. God longs to have His Word expressed in every language in a way that unlocks the passion of His heart. The goal of this work is to trigger inside every reader an overwhelming response to the truth of the Bible, unfolding the deep mysteries of the Scriptures in the love language of God, the language of the heart. Dr Brian Simmons is a former missionary, linguist, minister, and Bible teacher. As a missionary, he and his wife, Candice, pioneered church plants in Central America. As a linguist, Brian co-translated the Paya-Kuna New Testament for the Kuna people of Panama. He and his wife have started numerous ministries, including a dynamic church, Gateway Christian Fellowship, in West Haven, Connecticut. He is also a gifted teacher of the Bible who has authored several books and serves churches worldwide through his teaching ministry. As for us, we have all of these great witnesses who encircle us like clouds, each affirming faith's reality. So we must let go of every wound that has pierced us and the sin we so easily fall into. Then we will be able to run life's marathon race with passion and determination, for the path has been already marked out before us. We look away from the natural realm and we fasten our gaze onto Jesus who birthed faith within us and who leads us forward into faith's perfection. His example is this: Because his heart was filled with the joy of knowing that you would be his, he endured the agony of the cross and conquered its humiliation, and now sits exalted at the right hand of the throne of God! - verses which use the lens of Aramaic for greater insight. Divine Romance - Song of Songs by Brian Simmons;Candice Simmons was published by Authentic in October 2014 and is our 13608th best seller. The ISBN for Divine Romance - Song of Songs is 9781424549573. 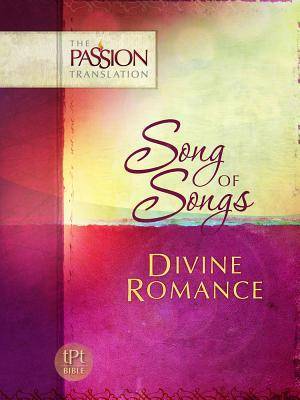 Be the first to review Divine Romance - Song of Songs! Got a question? No problem! Just click here to ask us about Divine Romance - Song of Songs. Where His glory never fades. As the sun in all its strength.